Bucharest - Located in the Old Town, Re:public is Bucharest’s largest brewery. Bucharest’s new venue features around 500 tables on a total of 1,500 square metres and a garden with 200 square metres. Located on two floors Re:public offers a brassiere on the ground level as well as an authentic pub in the basement. Completely rebuilt in 2012, Re:public’s building received an investment of around one million Euros to provide customers with an original décor, complex menu and one of the best audio systems in the country. For the latter, the operators secured the services of H.S.A. Audio. 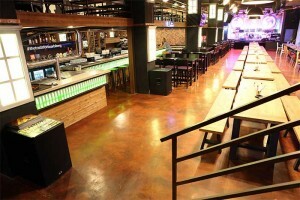 For the basement pub, which is used as for live performances and parties as well as a lounge area, H.S.A. Audio were requested to install a system which not only offered high sound levels and exceptional sound quality but is also easy to operate. After comparisons with other competitors, the team from H.S.A. Audio opted for a system from Dynacord. The reason being Dynacord’s renowned references – of which twelve are located in or in the immediate surrounding of Bucharest – the quality of these installations as well as Dynacord’s after sales service. 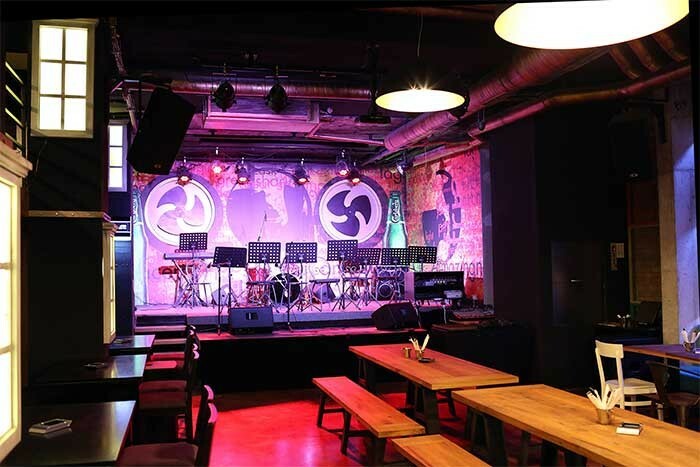 For sound reproduction, Re:public now relies on a new system from Dynacord based around 17 Dynacord VL262 loudspeakers, two Dynacord VL112 two-way fullrange cabinets as well as four Dynacord A 112A powered 12-inch two-way full-range speakers with Class-D amping. "We installed separate wires for each speaker from the beginning and manufactured individual speaker mountings on which to hang the speakers according to the particularities of each speaker position," explains Cristian Gheliuc, technical manager at H.S.A. Audio. To guarantee sufficient punch, the installation also includes nine Dynacord Sub 1.18 and one Sub 1.15 bass, which – thanks to their low-pass filter – can be operated in parallel mode to existing full-range cabinets. 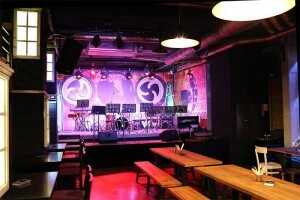 To tune the sound system in the reverberant long area to fulfil live music requirements, Gheliuc and his team decided to install separate delays for each line of tops and subs. Additionally, the H.S.A. Audio team used loudspeaker pre-sets as well FIR filters, EQing the latter a little to match the response of the room. 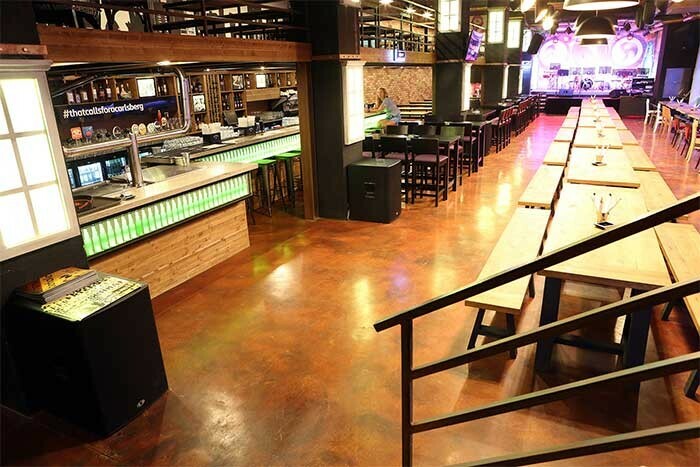 Re:public’s authentic basement pub with its live stage is equipped with a Dynacord sound reinforcement system. The icing on the installation cake is provided by the integrated IRIS-Net software. As the installed four Dynacord DSA 8805 amplifiers are fitted with RCM-810 modules, every signal from the six sound zones is subject to remote control and supervision via a Dynacord P64 Digital Audio Matrix Manager and two Dynacord TPI 15 touch panels. Additionally, an individual GUI offers ultimate in comfort and intuitive operation. Cristian Gheliuc: "The layers for the user are very intuitive to use and offer access to what the user needs. For me as a programmer, the system is fast to program and the open structure of the matrix is a blessing." Rounding off Re:public’s sound system is a Dynacord CMS 2200-3 mixer. Dynacord VariLine VL 262 speakers ensure high sound levels and exceptional sound quality. "The customer and we are very pleased with the quality of the system," summaries Gheliuc. "The VariLine system offers high sound levels and exceptional sound quality and the P64 manager, with its multiple input and numerous outputs, cannot be replaced in a project such as this. The installed system is easy to use and is prepared for future upgrades and modification – Dynacord was definitely the right choice."